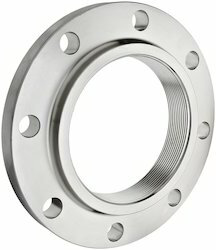 Our product range includes a wide range of stainless steel blind flanges, stainless steel flanges, weld neck flanges (wnrf flanges), welding neck flanges, lap joint flanges and stainless steel blind flange 304 l.
With an aim to fulfill varied requirements of our valued clients, we are engaged in offering Stainless Steel Blind Flange. 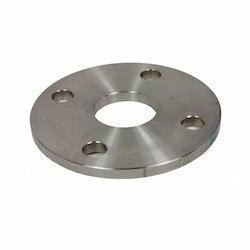 This stylish and fashionable flange is manufactured using quality materials and advanced technology. 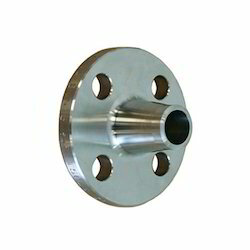 Our professionals manufacture all kinds of flange according to the trending demands and clients’ needs. 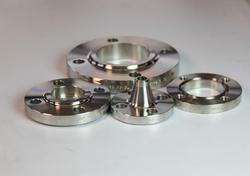 In addition, the offered flange is built and developed adhering to industry standards. 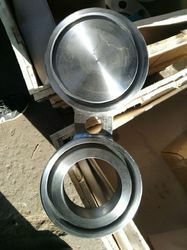 Furthermore, our professionals opt for strict quality inspection made on the flange to ensure flawless performance. 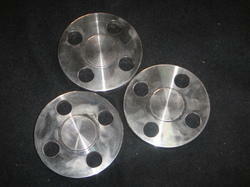 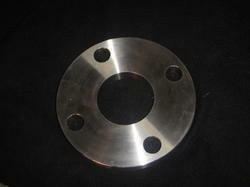 Besides, clients can get the flange from us at industry leading cost. 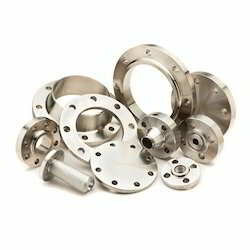 We are counted amongst the recognized organization offering of premium quality Stainless Steel Flanges. 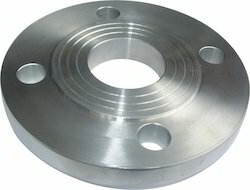 The offered flanges are largely used in various mechanical and high power installations. 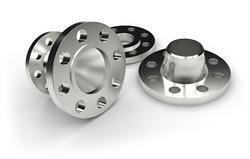 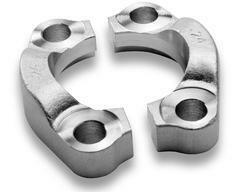 These flanges are manufactured using quality stainless steel alloy and approved technology. 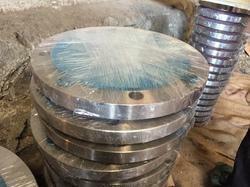 At our manufacturing unit, engineers can develop the flanges according to the specifications provided by the clients. 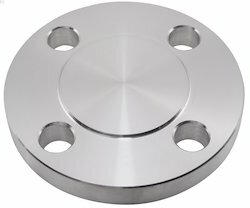 Manufactured adhering to industry standards, these flanges are made available in various lengths and diameter at reasonable prices. 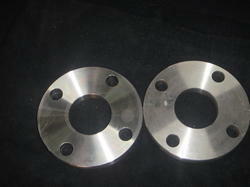 Weld Neck Flanges (WNRF FLANGES) are drilled(machined) with the wall thickness of the flange having the same dimensions of the matching pipe, the lighter the pipe is, the larger the bore, conversely, the heavier the pipe, the small the bore, they are normally used for high-pressure, cold or hot temperature. 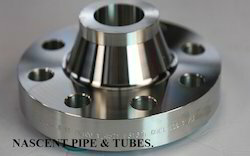 The weld neck flange (WNRF FLANGES) is very resistant to dishing and has a very sturdy connection because it has the pipe along with the tapered hub.The flanges are ideal for extreme fluctuations of temperature. 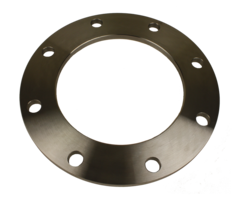 This type of flange is preferred for every severe service condition - resulting from high pressure or from sub-zero or elevated temperature. 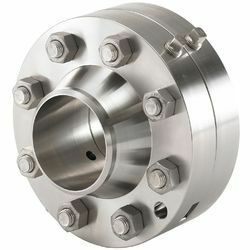 They are used in situations where loading conditions are substantially constant or fluctuate between wide limits.This is probably the best welding flange available because of its high, heavy neck. 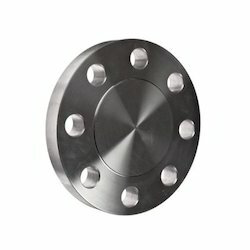 To meet the diverse requirements of our prestigious clients, we are involved in offering Stainless Steel Blind Flange 304 L. This is fabricated using supreme class stainless steel with the help of the latest technology at par with international standards. 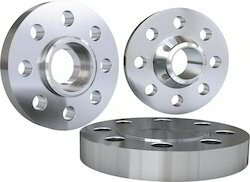 Our organization is involved in manufacturing,supplying and exporting a wide range stainless steel flanges for large scale industries. .
Our organization is involved in manufacturing,supplying and exporting a wide range stainless steel pipe flanges for large scale industries. .
Our organization is involved in manufacturing,supplying and exporting a wide range stainless steel blind flanges for large scale industries. 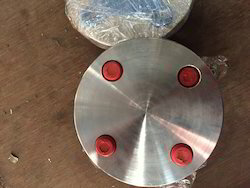 Pressure:150#, 300#, 600#,900#,1500#, 2500#The third party inspection:BV,SGS,LOIYD,TUV,and other part. 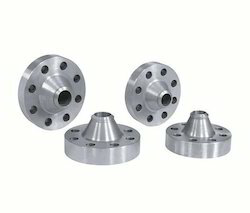 We are one of the leading manufacturer and suppliers of Steel Flanges.We obligate to meet the quality standards as per the client's demand.